Einstein declined the presidency of the state of Israel when it was offered to him in 1952 by state leaders. The element einsteinium, discovered in 1952, was named in honor of Albert Einstein. 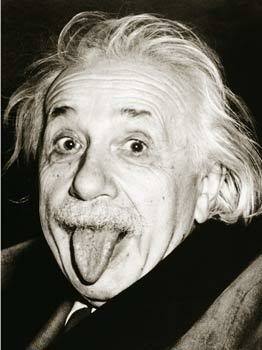 Picture of Einstein sticking his tongue was taken on his 72nd birthday by annoying press photographer Arthur Sasse. Albert loved the photo so much that he cut his image out and send it to all his friends.